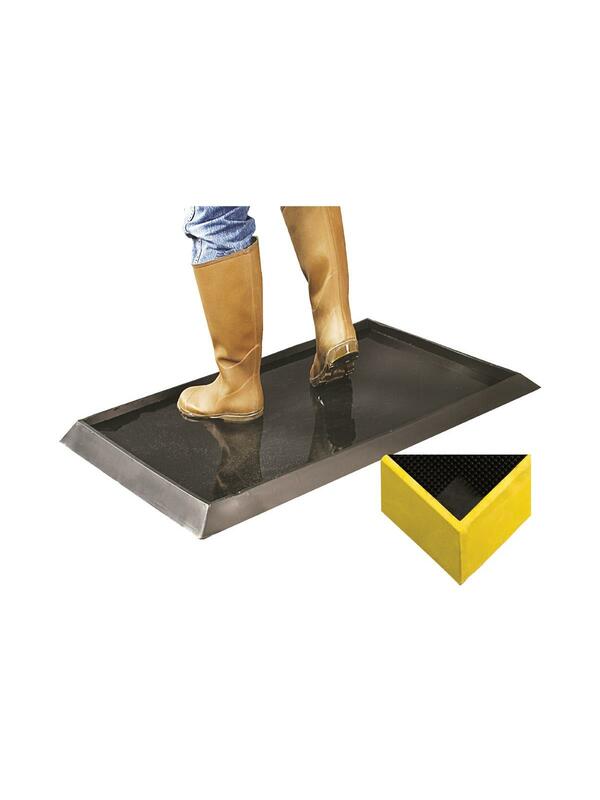 The Sanitizing Footbath Mat decontaminates shoes and boots, which can spread harmful germs and bacteria in food production facilities. 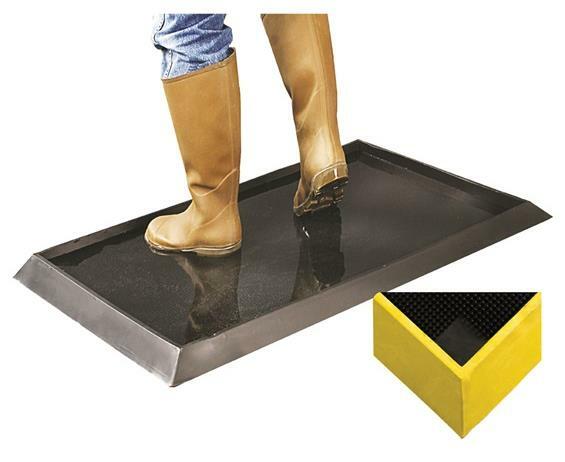 Fill the mat’s 1/2" or 2-1/2" deep well with disinfectant solution and then step in to clean footwear. FOB Shipping Point.